So, you think you’re not going to get that big interview score you were hoping for, for your blog. You feel worthless. Your Mac’s not working right. Then all of a sudden, you get to bring your camcorder into the driver’s seat of The Batmobile, and then start the iconmobile up as you’re running your own freaking camera. Man, 428 horsepower never felt so good. And then you get what Comic Con is about, as if you needed to be reminded: it’s not stars, it’s gadgets, comics, and pop-culture cars that have become legend. And here you are the only dude to sit in one with your camcorder running, and you starting the engine. Also cool were the legions of people I talked to and met. Officially that started at last night’s CNN iReport Party, where I met up with Atlanta-based friend CNN iReport’s Henry Hanks and a cast of people mostly different from the 2011 iReport party, but no less fun. I combined two events, the party and my interview of Stephanie Thorpe, into one – a good idea if I do say. Thus, one of the most Dangerous Women at Comic Con was in the CNN den, and only I came out with an interview. LOL. Oh, her panel’s at 5 PM. Oh, crap. I have to interview George Barris, who made the Batmobile, at 3 PM, and it’s 2:54 PM. 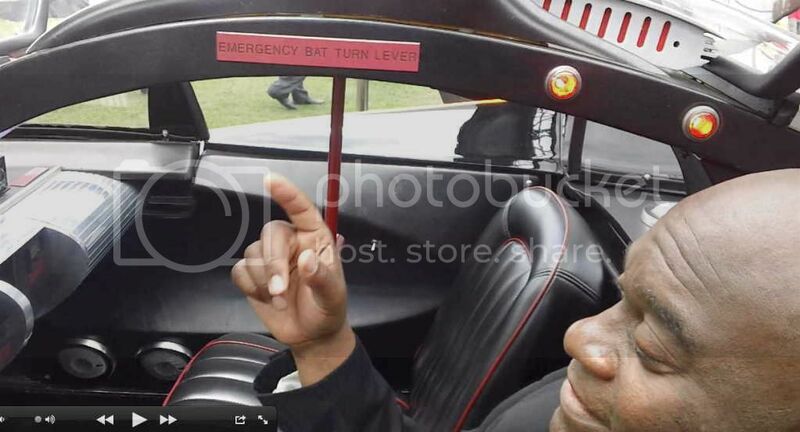 Be the first to comment on "Comic Con 2012: Crowds, Twilight, And The Batmobile, So Far"